Findings from recent at-sea research in the Eastern Atlantic Ocean on tuna fisheries bycatch and related mitigation measures are the latest addition to ISSF’s updated Compendium of At-Sea Bycatch Mitigation Research Activities. An international team of marine scientists, Melanie Hutchinson, Ph.D. (Chief Scientist, JIMAR – University of Hawaii), Alfredo Borie (Federal University of Rondônia, Brazil), and Alexander Salgado (AZTI-Tecnalia, Spain), spent 26 days on the purse-seine vessel Pacific Star. The cruise took place in the Eastern Atlantic Ocean, departing from Abidjan, Cote d’Ivoire, on June 25, 2018, and ending July 21, 2018 in Sao Tome, Sao Tome and Principe. “This cruise was unique,” Dr. Hutchinson, Chief Scientist on the cruise, noted, “in that we were fishing in very productive waters off Gabon, where several shark species had aggregated to forage on the same small baitfish that the tuna were attracted to. We were catching coastal shark species that are almost never encountered in purse-seine sets in other regions, and we were catching them in free-school sets. Mobulids (rays) release: The release of incidentally caught mobulids from onboard the fishing vessel can result in delayed mortality, even with best practice handling by vessel crew. Alternative mitigation actions, such as avoiding hot spots or release while the net is still open, may be most effective for reducing mortality of mobulid rays incidentally caught in purse-seine fisheries. Whale shark release: When encircled during a fishing set, incidentally caught whale sharks will survive the interaction if the best practice release maneuver is employed. Silky shark release: Silky sharks also survive fisheries interactions if they are removed from a purse-seine net before being brought onboard. Shark removal: While results to date suggest that sharks can be effectively released from the purse-seine net with 100 percent survival by fishing them out with handlines, the technique seems to work effectively only during FAD sets. Finding an effective means of removing sharks from the net on free-school sets remains a challenge. Catching sharks in the net during free-school sets proved impossible during the research cruise. Very large, active sharks prove especially challenging when it comes to net removal because they’re more likely to be feeding on the tuna and therefore less likely to bite on a handline. Additionally, their size makes them more dangerous for crew members to handle. Other at-sea studies new to the Compendium, which was last published in December 2016, include acoustic research in collaboration with the Inter-American Tropical Tuna Commission, a fish-tagging cruise in the Central Pacific, and tests of biodegradable twine (in the Maldives) and ropes (in the western Indian Ocean). Since 2011, ISSF has led a series of at-sea scientific research cruises and experiments to test methods for reducing bycatch of non-target species in real-world conditions, and, in many cases, during real commercial tuna fishing voyages. This research emphasizes potential mitigation measures especially for tropical tuna purse seiners, which account for 64% of the global tuna catch, to reduce catches of sharks and bigeye tuna. All fishing methods have some level of environmental impact, which is often measured in terms of fishing mortality of non-target species that may be retained or discarded at sea, as well as target species that may be discarded at sea for a variety of reasons (i.e., too small, damaged, or exceed capacity). Bycatch rates for purse seining on FADs range from 1.75%–8.9% of a vessel’s catch, depending on the ocean region. For purse-seine free-school fishing (without FADs), bycatch rates range from 0.03%–2.8%, also depending on the ocean region. For each research activity, a table summarizes the objectives, methods, results and conclusions, and a list details publications — peer reviewed, as well as other literature — derived from that activity. 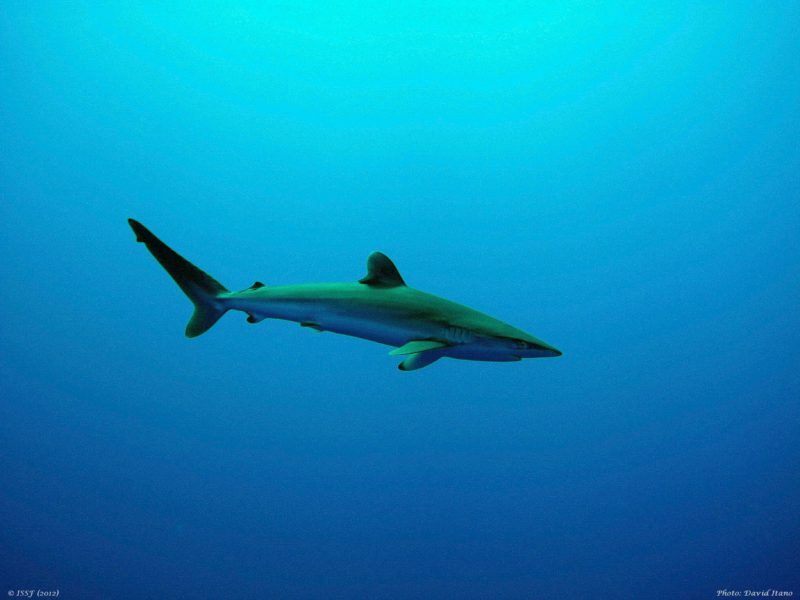 A conclusions section at the end of the Compendium highlights key findings of all activities, with a focus on sharks, bigeye tuna, and turtles. ISSF shares mitigation tactics discovered on the research cruises, and from other scientific resources, with skippers, fishers, and vessel owners worldwide during its skippers workshops, which are held throughout the year at major ports all over the globe. ISSF also shares findings with the world’s tuna regional fisheries management organizations (RFMOs).